Last week, STA partner Pronatura Sur, participated in the forum "New Tools for Forest Management". This forum aims to generate exchange of experiences among producers, research centers, universities, NGOs, government institutions and forestry companies, which promote the knowledge of diverse technologies, methods and tools incorporated to the Forest Management and the Sustainable Use of Forest Resources. 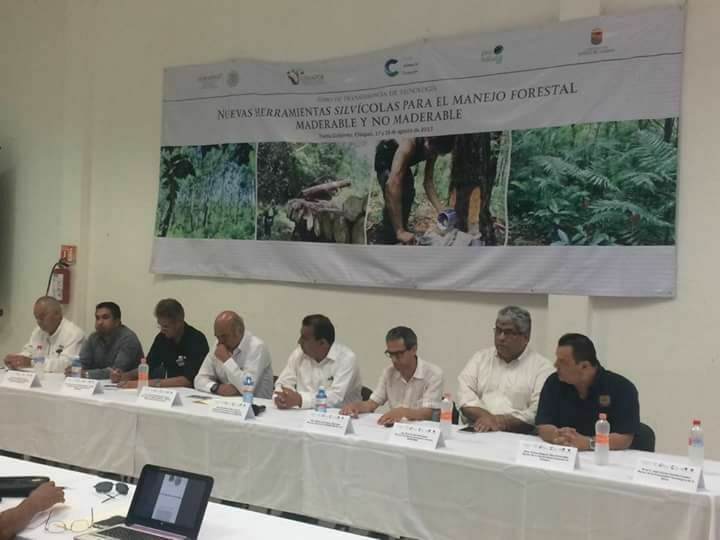 This event was organized by the State and Federal Governments, and Pronatura Sur presented two initiatives being implemented in the Sierra Madre of Chiapas.